I believe successful governing is a team sport. At the highest level of U.S. government, it involves two of three branches working hand in glove to find common ground. The executive branch and the legislative branch develop relationships at the top of their respective chains of command. Presidents become friendly with the speaker of the House and the Senate leadership. They need not become friends, but friendliness does not require actual friendship. When they belong to competing parties, that relationship becomes even more critical. However, that’s changing. It changed when Donald J. Trump took the presidential oath in January 2017. Now he is competing with a House of Reps that is run by the competing party. 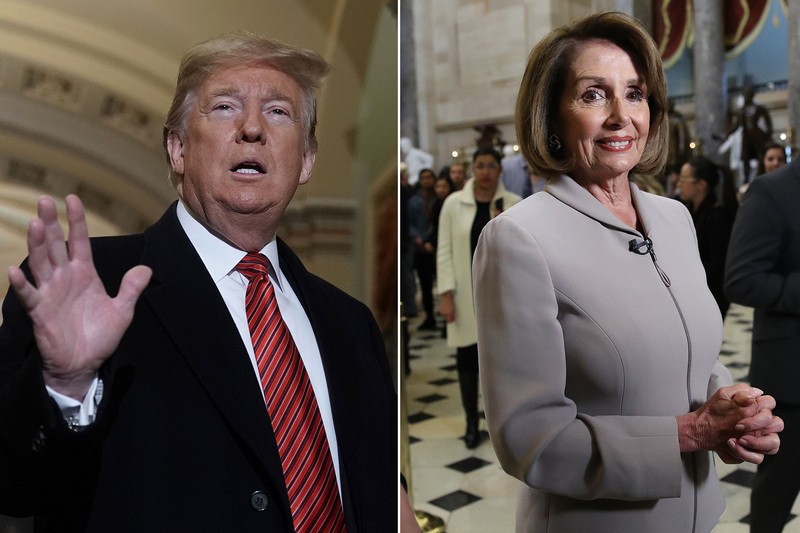 Trump and the speaker of the House, Nancy Pelosi, do not get along. I long for the way it used to be when President Reagan and House Speaker Tip O’Neill would savage each other publicly, then slip into the House cloak room for an adult beverage after hours. They reportedly would laugh about the language they used on each other. They understood how to govern. O’Neill was the crusty Democratic pol with decades of experience in Washington. Reagan was new to D.C., but had eight years of governmental executive experience as governor of California. Oh, man, it’s all different now. The speaker has decades of experience legislating. Pelosi is tough, shrewd, steely. Donald Trump also is new to Washington, but he doesn’t have a clue about governing and how to negotiate with the other side. The Senate Democratic leader, Chuck Schumer, also expresses extreme distaste for Trump as president. Trump told the Republican convention in the summer of 2016 that “I, alone” can repair what ails the nation. No, he cannot. However, he’s trying like hell to make that boast come true. It will not work. It cannot possibly work. Donald Trump is not a team player. A man with not a single moment of public service experience before becoming president of the United States cannot possibly do what needs to be done all by himself. The nation is going to suffer for as long as this individual remains in its highest elected political office. Presidents of the United States have enjoyed cordial relationships with the media over the past 200 years of our republic. John F. Kennedy was pals with Washington Post editor Ben Bradlee. Ronald Reagan and Walter Cronkite were known to be quite friendly. There have been others, too. Have any of them, though, sought actual policy advice from media pundits the way Donald J. Trump has reportedly done with Fox News Channel anchors and other on-air personalities? There is a certain strangeness that crosses the line into frightening about the Trump-Fox relationship. It is unseemly, particularly given the “fake news” tag the president plasters on other news organizations, be they print or broadcast. 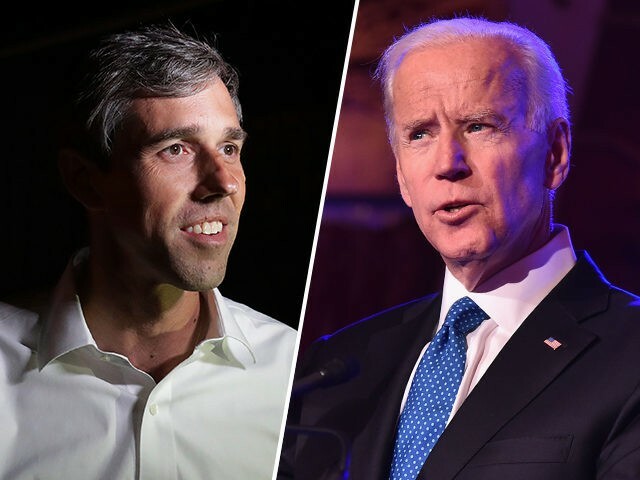 This peculiar alliance has prompted the Democratic National Committee to ban Fox from hosting any of the planned Democratic primary presidential debates coming up later this year. DNC chairman Tom Perez made it clear: Fox has become entirely too intertwined with the Trump administration to be considered a fair and impartial media organization. So the DNC won’t allow Fox to participate in the party’s series of debates. When a Fox News talking head, Sean Hannity, takes the microphone at a Trump campaign-style rally, he crosses the line from an ostensible “journalist” to becoming a campaign flack. There can be little doubt, therefore, about the correctness of the DNC decision to shut Fox News out of the party’s nominating process. ‘The buck stops with everybody’? Ronald Reagan once admitted that he was mistaken when he said he never traded arms for hostages. Which of those statements connotes a weak leader? Which of them suggests the person who abides by it doesn’t want to take responsibility? If you said the fourth one, we are on the same page. 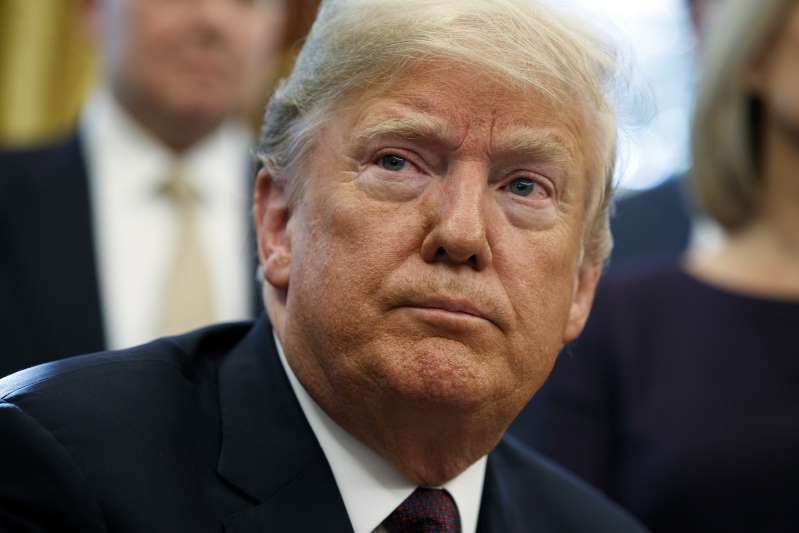 Donald Trump won’t accept responsibility for the dispute that has closed part of the federal government and has thrown hundreds of thousands of federal employees out of work, causing them varying degrees of financial hardship — all over whether to build The Wall along our southern border. Trump’s equivocation speaks volumes about his lack of leadership. He is illustrating once more how he won’t accept what most of the rest of us believe already, that he cannot stand by what he said, that he would be willing to take the heat for shutting down the government. Now he’s done it. Federal employees are hurting. One aspect of the late President George H.W. Bush’s extraordinary political career has been getting short shrift by the media. I refer to a nickname a young member of the U.S. House of Representatives endured while he served there. George Bush was known to his colleagues as “Rubbers.” How’s that? Well, he was a big-time ally of Planned Parenthood, the organization devoted to family planning, which included the distribution of contraceptives . . . and so forth. 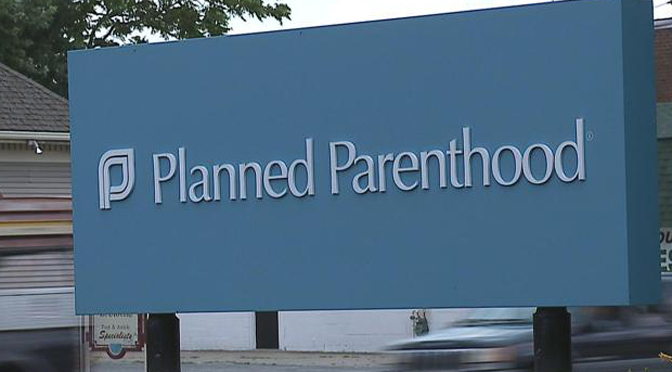 He continued his affinity for Planned Parenthood’s agenda well past his four years in Congress. He spoke to his colleagues in 1968 about Planned Parenthood. But then he became a national politician in 1980 when Ronald Reagan selected him as his vice presidential running mate. Bush and Reagan had competed against each for the Republican presidential nomination; Bush famously labeled Reagan’s trickle-down fiscal policy “voodoo economics.” That didn’t dissuade The Gipper from tapping Bush as his running mate. Immediately upon accepting the Republican nominee’s request to join the GOP ticket that year, Bush became a “pro-life” politician. That immediate transformation from “pro-choice” to “pro-life” always rang hollow to me. Ronald Reagan could not possibly run for the presidency with a running mate who was such a champion for an organization that was total anathema to his political base. Bush signed on and made a pledge — and I believe it came with a wink and a nod — that he would recite the pro-life mantra when asked to do so. George Bush never became an outspoken advocate for the pro-life position, which I suppose tells us plenty about his actual devotion to the cause. But you do what you gotta do . . . I suppose. Mr. President, you are entitled to your opinion. As am I, sir. You give yourself an A+ grade for the first two years of your presidency. I wouldn’t grade your performance anywhere near that high. I laughed when I heard about Chris Wallace’s question to you, mentioning Presidents Washington and Lincoln, Franklin Roosevelt and Reagan. I also laughed when he asked if you belonged in those men’s company. Then you gave yourself that A+ grade. You’re killin’ me, Mr. President. You keep taking credit for the economy. I applaud the job figures that keep coming in each month while you’ve been in office. Yep, they’re great. But you ought to know — and I wish you did realize it — that presidents can’t take all the credit they think they deserve. I must remind you — yet again! — that you inherited an economy that was in good shape, unlike the economy that your predecessor inherited when he took office in January 2009. There have been more than the normal number of hiccups along the way. Your key staff keeps turning over regularly. Not to mention the Cabinet posts that keep opening up. You fire folks. They quit under criticism. And yet you keep yammering about the hordes of individuals who are just chomping at the bit waiting to come to work in the White House. Whatever you say, Mr. President. I just don’t believe it. Nor do others of my ilk, who outnumber those of your ilk by a good bit. Keep deluding yourself, Mr. President, into thinking you deserve an A+ plus. Others of us believe differently. I won’t assign a grade. I’ll leave that others. Just know that it ain’t nearly as good as the one you gave yourself. A friend of mine challenged a blog item I posted earlier today that called attention to the Dallas Morning News’s endorsement of Beto O’Rourke in this year’s campaign for the U.S. Senate. My friend noted that “of course DMN” would back the Democratic challenger to Republican Sen. Ted Cruz. Dallas County voted Democratic in 2016, as well as in 2012 and 2008. The paper, my friend noted, was going with the community flow. I felt compelled to remind him that newspaper editorial boards — at least in my experience — do not necessarily strive to reflect the community’s leaning. The example I gave him involved my nearly 11 years in Jefferson County, the largest county of the Golden Triangle region of Southeast Texas. I worked for the Beaumont Enterprise, serving as editorial page editor. On my watch, the Enterprise endorsed Republican presidential candidates in three elections: 1984, 1988 and 1992, even though Jefferson County voters endorsed by significant majorities the Democratic candidates for president in all three elections. 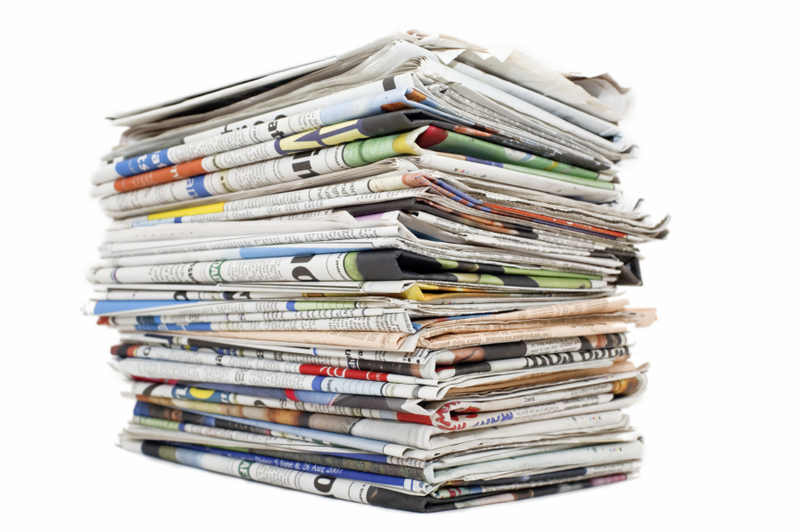 I told my friend the following: So … newspapers do not always reflect the communities’ political leaning. They adhere to their own philosophy or — more to the point — to their ownership’s philosophy. So it was in 1984 particularly, when the publisher told us point blank that we were going to recommend President Reagan’s re-election. There would be no discussion. A different publisher told us the same thing in 1988 and 1992: We were going to endorse George H.W. Bush for election in ’88 and for re-election in ’92. That’s how it works. The newspaper and its corporate ownership march to their own cadence, not necessarily the drumbeat of the community it serves. I went to Amarillo in January 1995 and learned the same thing, although the Texas Panhandle is even more solidly Republican than the Golden Triangle was solidly Democratic in the 1980s and early 1990s. What’s more, Morris Communications, which owned the Amarillo Globe-News until 2017, is far more wedded to conservatives and Republicans than the Hearst Corporation, which still owns the Beaumont Enterprise. It is true that Dallas County has tilted Democratic in recent election cycles. It also is true that the Dallas Morning News has endorsed plenty of conservative candidates and stood behind plenty of conservative issues over many years. The Morning News is not a doctrinaire publication. Although I do not know what transpired when the paper’s editorial board deliberated over whom to endorse in this year’s Senate contest, I know that the published record reflects an editorial board that is far from rigid in its political outlook. Believe me, I know a rigid media organization when I see one. I’ve worked for them. Hey, didn’t we win the Cold War? I always thought the United States and its allies won the Cold War, that we forced the Soviet Union to spend beyond its means on a military machine, bankrupting the country. The USSR collapsed under its own weight. The Reagan administration sought prior to its demise to negotiate a deal to limit the production of nuclear weapons. Four presidents came and went, the treaty was kept in place. The United States and Russia whittled their respective nuclear arsenals. Now comes Donald Trump to assert that the Russians haven’t been faithful to the treaty. So he’s going to trash it. Then he announces a proposed buildup of nuclear weapons. The Russians counter with a threat to rebuild their own nuclear arsenal in response to the U.S. threat. “Russia has violated the agreement,” Trump said. So he’s taking action. It’s a dangerous course upon which the president is embarking. Instead of deploying diplomats and weapons inspectors to determine the extent to which Russia “violated” any agreement, Trump wants to flex our nation’s military muscles. I know this seems to piddle all over the notion that the president is somehow beholden to Russia and its leader, Vladimir Putin. To the extent that he’s holding Russia accountable for its actions in this context, I applaud the president’s rhetorical aggressiveness; if only he would use the same approach to dealing with Russian attack on our 2016 presidential election. But are we now going to restart the arms race that produced a policy called Mutually Assured Destruction? It’s simply a MAD course to follow. When have we ever discussed presidential fitness? I’ve been walking along this Earth for a lot of years. I’ve been watching politics for most of my life. For the life of me I cannot remember a national discussion that comes close to mirroring what we’re hearing at this time about the fitness of the man who serves as president of the United States. These days, the discussion has turned to Donald J. Trump’s actual fitness for the job. 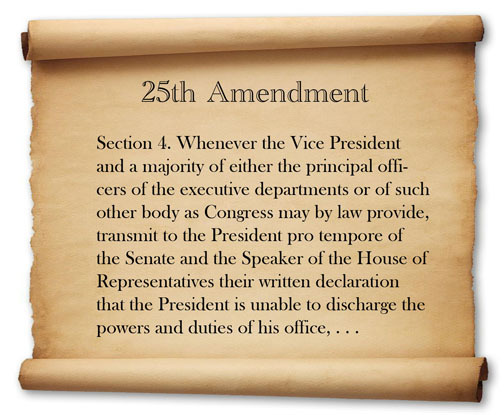 There’s open discussion about invoking a constitutional amendment that would strip the president of his powers. There is talk among White House aides about the president’s “impulses” and whether this man has the capacity to understand the myriad complexities of his high office. Am I missing something? I just don’t recall ever having this discussion at any time, at any level with our previous presidents. The White House is pushing back. Trump allies say the president is fully capable. They say he’s engaged in the nuance of policy. They’re condemning the “gutless coward” who wrote that anonymous op-ed published in The New York Times, the essay that talks about the theft of memos from Trump’s desk and the effort to protect the nation against the president’s more dangerous instincts. Boy, howdy! The man has delivered on that promise. John Hinckley wants a judge to grant him unconditional release, to lift the restrictions under which he must navigate his way back into society. You remember Hinckley. 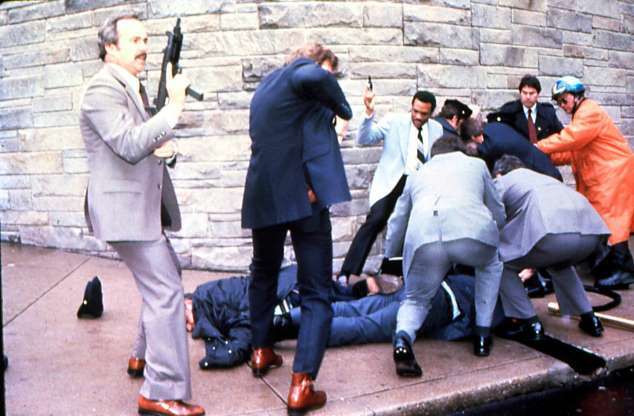 He was acquitted on grounds of insanity after he shot Ronald Reagan in March 1981, coming dangerously close to killing the 40th president of the United States. President Reagan recovered from his wound. White House press secretary James Brady, tragically, did not. He, too, was grievously wounded; he suffered a gunshot wound to his head. He fought valiantly to restore his speech, his ability to walk. He died of complications from his wounds in 2014. Hinckley had been hospitalized since he tried to kill President Reagan. He was released from the hospital in 2016. According to MSN.com: Hinckley’s release in 2016 required that he work or volunteer at least three days a week, limit his travel, allow law enforcement to track his movements and continue meeting with a psychiatrist, among other conditions. I’m not a doctor, but to me “remission” does not mean “eradication.” Remissions suggests his ailments can return, just as cancer returns after being in remission. I happened to agree with the late president’s family, who opposed Hinckley’s release from the hospital. Now I’ll weigh in and ask the judge to deny the killer’s request to lift the restrictions he must obey.